$15.00 per Necklace. Personalized Necklace for Weddings, Group Trips, Mission Trips, Family Events, Runions and More. Very high quality that we control right here in our own shop! Super heavy exclusive textured weave chain. 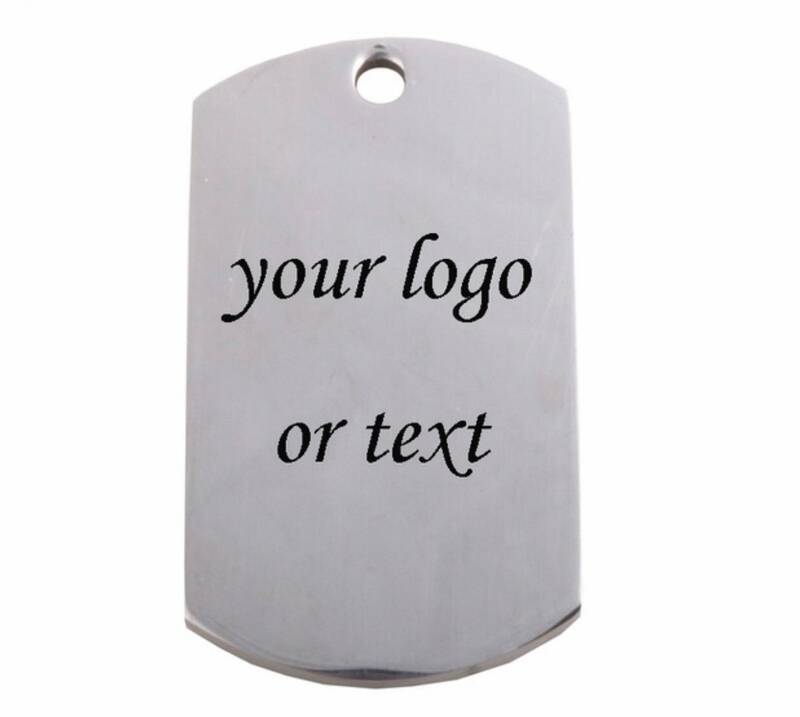 Your concept customized for just $15.00 each! The minimum order is 1 Lot. Each Lot contains 20 custom medallion/chain/necklaces. 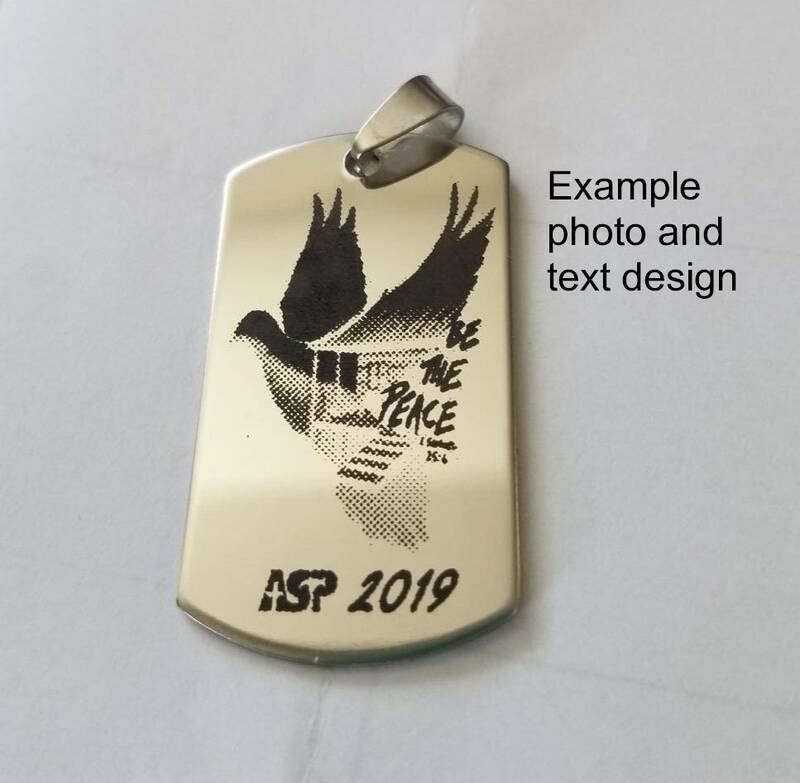 You will receive a Personalized High Gloss Stainless Steel Medallion, Bail and Chain Necklace with High Contrast Black lettering/logo. The Stainless Steel Medallion has High Gloss on one side and Bench Drawn (sanded) on the other side. The Personalization will be done on the High Gloss surface. Black against the high gloss Silver surface looks very classy! 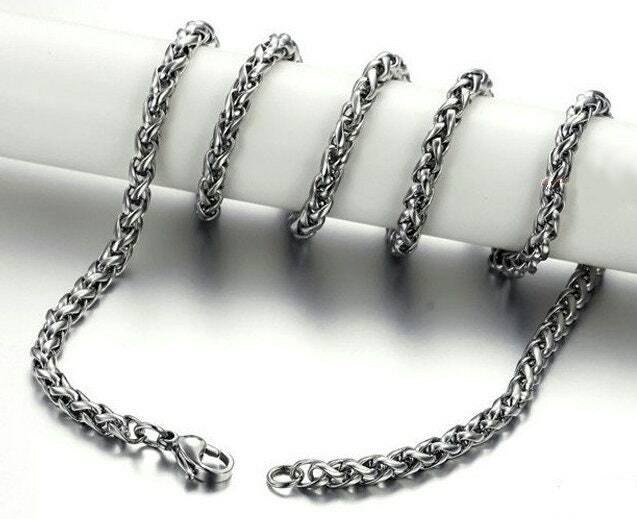 For the chain you will receive is our Exclusive Heavy All Stainless Steel 4.4mm x 20” Basket Weave Chain (see pictures) with a positive locking lobster clasp. 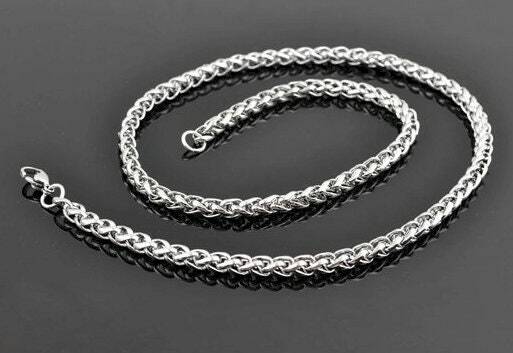 This chain feels substantial and smooth as silk with a design will not pull the hair on your neck! 3 week turnaround printing time from the time we receive your final artwork. Depending on your location, shipping times could add additional time so PLAN AND ORDER IN ADVANCE. You must provide us with a high resolution .jpg file. The file must contain your high contrast black image with a bright white background. Your completed artwork should dimensionally fit into a reduced area of 3/4” wide x 1 1/4” long. The outside dimensions of the Medallion are 15/16” wide x 1 11/16” at the peak of the curve. Message us with any additional questions and we will walk you through the process!